Once you have read the plot, you will understand what I am going to deal with in this post. The key to understanding how House reached a diagnosis of SSPE in the adopted kid was in a funny encounter he had in the clinic. A yummy mummy had brought in her kid who she was not vaccinating as she believed that it was a form of conspiracy by the big pharma to pad their bottomline. House then produced a scare tactic that drove the mom to tears and must have turned her around. Pity we can’t let House loose on the Age of Autism folks. AIDS Denialism: Led by Peter Duesberg, this school of thought contends that the HIV is not the cause of AIDS. Now I can write a whole blog on this ridiculously “vocal anti-science movement” (2), but that has to wait for another day. The significance of cognitive selectivity in mediating denialism cannot be over stressed. Selectivity is the process whereby there is only acquisition of new cognition which is synchronous to the existing cognition while there is avoidance of new cognition that is asynchronous to the existing ones. As students of science, we need to guard against this kind of “confirmation bias” from clouding our judgment. Unlike denialists, skeptics are ready to change their minds and take a new stance when confronted with new evidence that stands the test of scientific scrutiny. Skeptics try to avoid the selectivity bias by analyzing all possible evidence available in order to visualize a problem from various angles. Skeptics welcome new research to uncover new evidence, even if that is in contrast to their views. Denialists, on the other hand, prefer to stick to their guns, no matter what. Skeptics use proven scientific methods to support their arguments while denialists resort to rhetorical arguments and even, semantics to hold aloft their stance. When it comes to the vaccine denialism, the classical non-argument that they out forward is that one can never be sure. Whilst adverse effects of immunization are rare to the point of non-existant, the denialists have used only one side of the numbers to stake their claims. And the fall outs of such scientific perjury is severe, and most often, a population which had nothing whatsoever to gain or lose from this conflict, is the one to lose out. A typical example is the situation that broke out after the MMR vaccine scare that Wakefield’s now retracted paper propagated. Since the inception of the controversy, vaccination compliance dropped sharply. In the UK, it went down from 92% in 1996 to 84% in 2002, with parts of London having coverage as poor as 61% in 2003. (7) What followed, was the public health version of a nightmare. Measles cases in the UK went up from 56 in 1998 to 449 in the first 5 months of 2006, including the first death since 1992. (8) With 5000 notifications of Mumps cases in January of 2005 alone, UK was in the throes of a mumps epidemic. (9) Drop in vaccination rates, with loss of herd immunity led to these phenomenal numbers, which culminated with the announcement that in 2008 UK was endemic for Measles in the last 14 years. The Wakefield paper, coupled to the ubiquitous internet and an attention seeking media, made the anti-vaccination frenzy even worse. How ironic is the fact that whilst the world was toasting Luc Montaigne and Francoise Barre-Sinoussi for the Nobel prize for discovering that HIV causes AIDS, Thabo Mbeki and his Minister of Health Manto Tshabalala-Msimang, were advising concoctions of garlic, beetroot and African potatoes for HIV infected South Africans. Defining and identifying denialism forms a major part in fighting it. (10) While the world wide web has opened the floodgates of knowledge, it has also provided a platform for the pseudoscientific community to gain a voice. If one searches for long enough, websites promoting the Flat Earth Theory (yes, they exist even today), Geocentricity and creationist theories abound. 1. Paul O’Shea, A Cross Too Heavy: Eugenio Pacelli, Politics and the Jews of Europe 1917-1943, Rosenberg Publishing, 2008. ISBN 187705. p.20. 2. Kalichman SC, Eaton L, Cherry C . “”There is no proof that HIV causes AIDS”: AIDS denialism beliefs among people living with HIV/AIDS”. J Behav Med June 2010; 33 (6): 432–40. doi:10.1007/s10865-010-9275-7. PMID 20571892. 4. Feygina I, Jost JT, Goldsmith RE. System justification, the denial of global warming, and the possibility of “system-sanctioned change.” Pers Soc Psychol Bull 2010;36:326-38. 5. Diethelm PA, Rielle J-C, McKee M. The whole truth and nothing but the truth? The research that Philip Morris did not want you to see. Lancet 2005;366:86-92. 7. Murch S (2003). “Separating inflammation from speculation in autism”. Lancet 362 (9394): 1498–9. doi:10.1016/S0140-6736(03)14699-5. PMID 14602448. 8. Asaria P, MacMahon E (2006). “Measles in the United Kingdom: can we eradicate it by 2010?”. BMJ 333 (7574): 890–5. doi:10.1136/bmj.38989.445845.7C. PMC 1626346. PMID 17068034. 9. Gupta RK, Best J, MacMahon E (2005). “Mumps and the UK epidemic 2005”. BMJ 330 (7500): 1132–5. doi:10.1136/bmj.330.7500.1132. PMC 557899. PMID 15891229. 10. Diethelm P, McKee M. Denialism: what is it and how should scientists respond? Eur J Publ Health2009;19:2-4. 11. Richard P. Feynman, Jeffrey Robbins. The value of science. In The pleasure of finding things out: The best short works of Richard Feynman. Perseus Books, 2000. pp 141-149. Tags: Denialism, House MD, MedBlogging, PostADay2011, Research Blogging, Science, Scientific Skepticism, Vaccination and Autism, Vaccine Denialism. Bookmark the permalink. again, the amount of research that goes into each blog post is astounding. you really should figure out a better medium for this…something more formal, where people will take notice of all the hard work that’s gone into the article. 1. How does anyone support the hypothesis that HIV is not the cause of AIDS? 2. Flat Earth theory?? seriously? haven’t people like looked at the earth from space and seen that it’s round? or is that just a conspiracy?! I have been in and out of counseling centers at hospitals for 2 years- terminal illness, AIDS, Nephrology…and I’d rather deal with a sceptic than someone in denial. Patients/families who are in denial, just say “no” and shut up, whereas the sceptics ask too many damn annoying questions! As for denialism, I must say in the last 3 years, I have seen sooooo many different forms of it, I cannot say even the flat earthers surprise me anymore! Wow, you really work hard to make your posts perfect.. Keep up the good work. Thanks for the kind words, and taking time out to leave a comment! Go away SPAM bot! DIE DIE DIE! Keep up that fantastic writing homie! Dude, after much harassment they FINALLY sent the lowest model ipod touch…which my kid promptly confiscated. No other prizes have been forthcoming…and I think my traffic actually DROPPED since the awards! So count yourself lucky my friend…and keep up the slick writing! Thanks. Coming from you, the appreciation of the poetry is indeed a matter of pride for me, especially since my writing in bengali is rather limited. Is there any research about any other forms of Denial-ism? I could think of a few people that seem to have the same ideas and think the same way about certain things. That episode of house was really good also. It sounds like you know your stuff just like House and if not right off of the top of your head you at least do research to back up what you are talking about. Not many people do that anymore these days. You know you could easily link these blogs to a formalized APA format paper about the subject that goes more in dept. Anyway, getting back to the show House, I really like the show even though most of the story lines are more improbable than realistic. There is a real feel to it though because doctors really don’t know what you suffer from until they are able to make it better. After all that is why they call it practicing medicine. I work full time for Dish Network and go to school full time so I never have time to actually follow the TV scheduling. 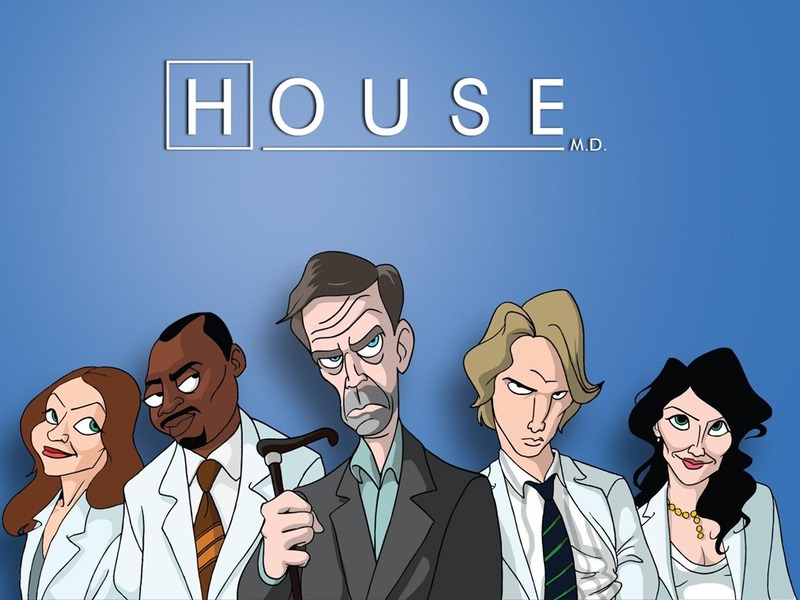 I have been watching house using Dish Online. Let me know if you do find out about any research for other forms of denial-ism or if it just gets called something else because it pertains to different topics. So you have been sucked into the Denialist Witch Hunt too.. well you have serious problems not that no one has issues but you have serious problems because the original definition for Denialist unlike George Monbiot the father of denialism , means that you can rightfully be the denialist yourself. Be careful i’d hate to see you FACE+PALM in shame at the end of your witch hunt.